There are a pair of the updated models in these photos. 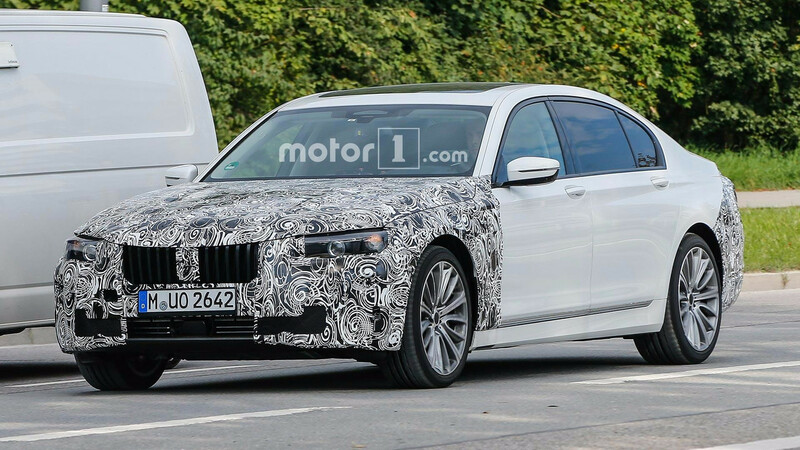 The current BMW 7 Series is only a couple years old, but spy shots show that the Germans already have a styling refresh under development. The latest 7 Series is a fairly attractive big sedan, and it doesn’t appear that the company intends to overhaul the handsome look for this refresh. This example doesn’t have the final headlights, but the existence of these placeholder units suggest that the automaker has some illumination upgrades in mind. The hood dips down over the kidney grille here, but this is likely to hide the production model’s contoured shape rather than a new design element. The firm’s camouflage largely obscures the lower fascia, so it’s hard to get an idea of the changes. 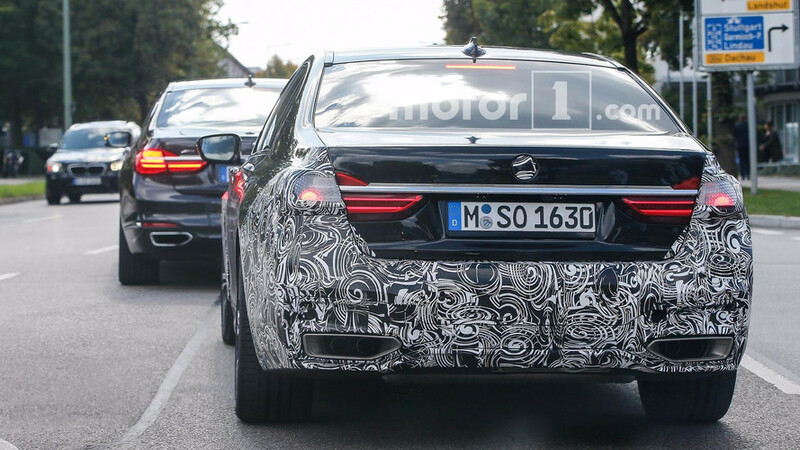 There don’t appear to be any changes to the 7 Series’ profile, but the company completely conceals the rear bumper. The clear panels over the taillights suggest updated units underneath. The exhausts are still nicely integrated into the back, and the lower part of the rear appears slightly more angular than the current model. Unfortunately, these photos don’t provide a look inside the 7 Series, but BMW would likely use the refresh as an opportunity to revise the cabin a little. The company likes to pack cutting-edge features into its range-topping sedan before the amenities trickle down to less expensive vehicles. 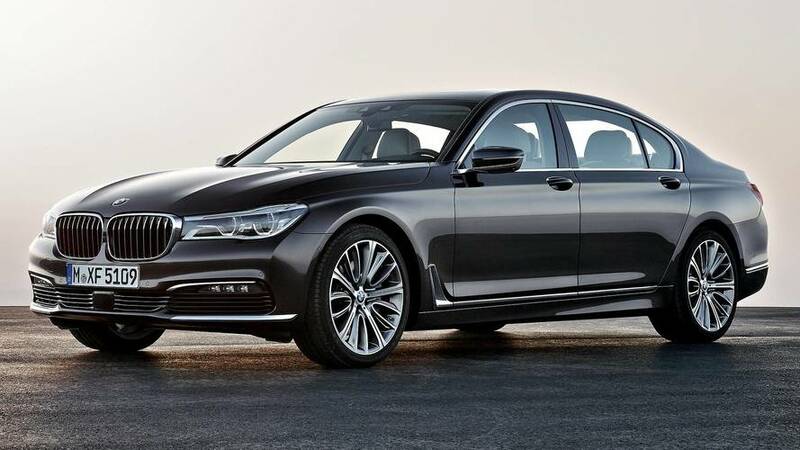 For example, the firm began public testing of autonomous tech for the 7 Series this year. Powertrain upgrades to accompany this refresh are also a mystery at this time. A major overhaul seems unlikely, but BMW might massage the current powerplants to get a little more output from them. BMW already upgraded its range for the current model year. This suggests the updates on display here are at least a few months away. If the tweaks are as minor as some revised bumpers and new interior trim, the changes could potentially arrive as soon as next year.